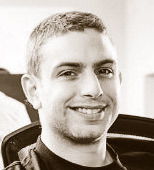 Alan Wagner is an engineer and one of the early members of the Tamr team. With a deep background in machine learning and big data, Alan has played a key role in developing Tamr's technology to provide value for Tamr's customers. Previously, Alan worked at Google and D.E. Shaw, and earned his computer science degree from MIT. Join Toyota Motor Europe General Manager Matt Stevens and Tamr field engineer Alan Wagner for this webinar to see how leading enterprise are radically simplifying the construction of a comprehensive, 360-degree view of their customers.